Can anyone believe just how quick this year is going??!! Like really! I feel as if I’m waking up every other week and it’s a new month. August is always a good month (apart from the weather) Millie turns 6 this month and it’s a slow countdown to the kids going back to school and pre school, only this year they’re both off to primary! Millie is so excited for her birthday she keeps telling me what she wants daddy and I to buy her and it’s usually every advert that comes on the telly. She’s a real girly girl so I do enjoy having a shop around for her birthdays and Christmas presents although I’ve had to properly listen and take note of some things she’s mentioned this year as her interests are changing weekly! Some things I look at and think she’s too little for that and then have to remind myself just how up to speed and smart she is. (shes very clever working my iPhone😁) Numerous times I’ve had to delete 100 selfies she’s taken of herself and Connor! We’ve got a couple of things up our sleeve for her actual birthday as we have her from lunchtime over night and she goes home in the morning for her party, so keep an eye out for a review or two on the places we go I can’t wait! Because I work through the week during the holidays I sometimes feel bad leaving Connor with family, although I literally have the best family when it comes to anything but especially Connor! Everyone chips in, my step mum helps an awful lot, my mum takes time off work and both sets of my grandparents help when I need them too so myself and Luke are very lucky. Anyway I try to compensate when I am off and at home with Connor or both kids and try to make the days fun rather than just staying home. This week Connor had gone on and on about seeing finding dory at the cinema so finally I gave in and we took him to see it Monday night! I booked tickets online as it had only been out a couple of days so I wanted good seats, we waited for daddy to finish work and off we went to tesco to get some goodies for our cinema date. Don’t get me wrong there’s nothing better than cinema food and treats but by the time we’ve bought tickets you end up racking up a huge bill just for a couple of hours out, so I’m trying to get into the habit of going to a shop before hand. Now I’m not going to lie I was pretty happy to be seeing finding dory as I’d read a couple of good things and I’m always joyed when Connor asks to sit with me and watch finding nemo or memo as he calls him. It definitely lived up to its expectation I thought, me and Luke had a giggle and Connor absolutely loved it! It’ll definitely be on my pre order list on Amazon. It’s amazing how much animation has changed since the first one was made, I would definitely recommend going to watch it with your kids or even just you and your friends or partner, there was a lot of people in there without any kids which was great (proves your never to old for a good old Disney film!) We also did honeybrook farm this week with both kids, you can Read all about that and what I thought under days out from the menu button. 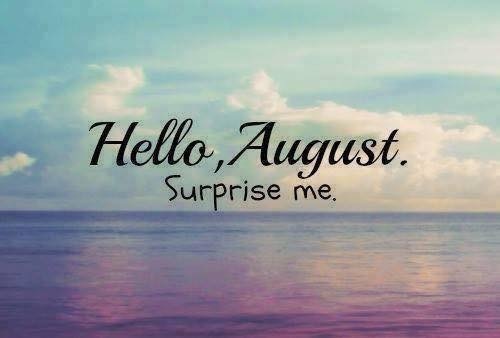 I can’t believe we are almost into our second week of August, I just hope it keeps going this quick untill October when we go on our summer holiday! Hope everyone has a great August and this weather cheers up a bit and stays warm, nothing like listening to us Brits moan about how hot and sweaty we all are but I’d rather that than rain!! Previous Hoorah for Honeybrook Farm! It strikes me that your life must be pretty swell. If you don’t catch yourself watching the clock because time is moving too slow, then you are living. Still, I think an occasional breathe or two does us all good.